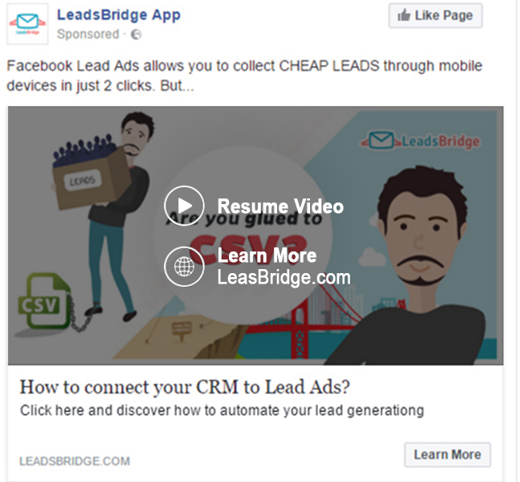 In this post, we're going to look at how to use the Facebook pixel to build a simple retargeting strategy that works, helping to convert visitors into customers multiple times quickly - without necessarily being an IT geek. But before we begin, you may ask yourself - "What exactly is the Facebook Pixel (and how does it work)?" The Facebook Pixel is a line of code that you can install on your website, in order to track conversions, micro-conversions and behaviors of your website visitors. 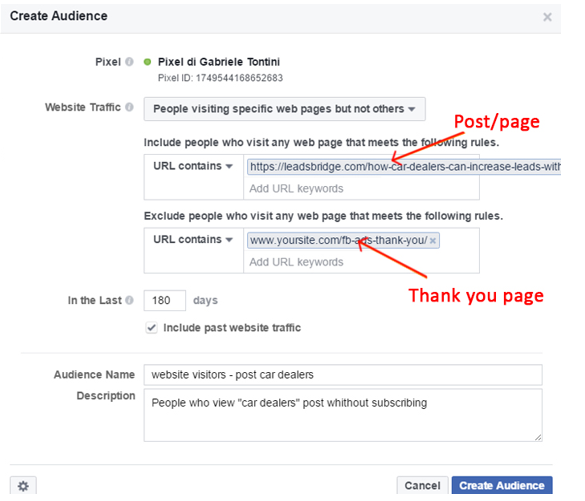 The Facebook Pixel enables you to build Custom Audiences for your Facebook Ads. 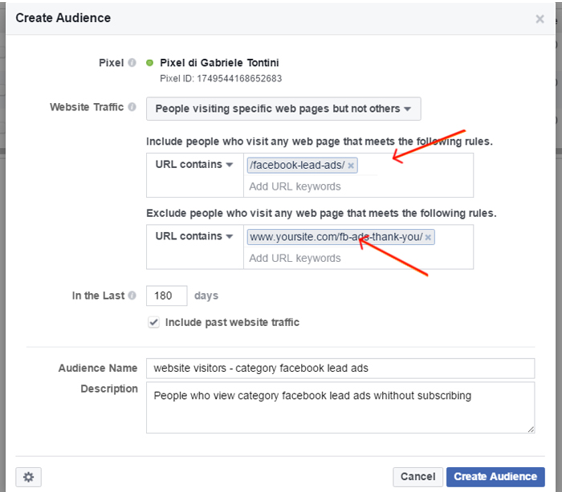 In doing this, you'll be able to run retargeting campaigns on Facebook and show your ads to website visitors while they're browsing through the social network with their PC or mobile phone. The Facebook Pixel tracks anyone visiting your website, regardless of referral source. For this reason, retargeting can also reinforce all your marketing efforts from other platforms. Here are some tips on how to boost your whole funnel with some very simple Pixel hacks. 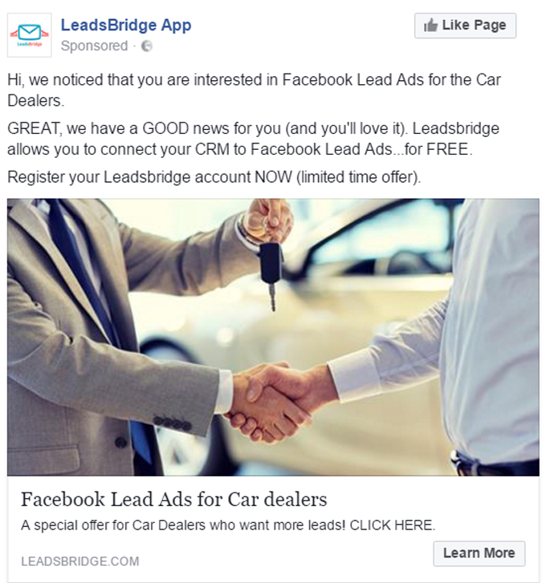 Facebook's advertising platform enables you to reach an audience that's shown an actual, active interest in your offer, which can then help you to bring more visitors to your site by creating the right ads. The problem is that bringing visitors to your site doesn't mean that these people will necessarily buy your products and services. For this reason, if you're getting traffic to your website or blog, you should run retargeting campaigns to reach these people while they're browsing through Facebook, in order bring them back to your website. Here's the point: It's much easier, and cheaper, to convert website visitors into prospects and clients, in comparison to cold traffic driven to your landing pages. However, if you want to maximize your retargeting campaigns' investment you should define segments of traffic, in order to build specific Custom Audiences and compelling ads. Creating categories for your website or blog makes it easier for your readers to find topics that interest them. However, it also enables you to build more specific Custom Audiences, in order to reach people who visit certain pages or view certain products, then deliver the right message through Facebook Ads. You can build Custom Audiences from blog categories by creating a list of people who visit your website or view specific web pages. Then, define a website or blog posts category, as shown below. When your audience is ready, start your campaign. Building Custom Audiences from specific website pages is even more effective than using categories. If you get enough traffic to a single page, you can easily target people who've visited it and create a compelling ad that pushes them to the next level of your conversion funnel. Many people will land on your opt-in page without leaving their data - but they might need just a little, "old-school" marketing push to join your list. Here are some tricks I've used for my retargeting campaigns that work. People give more importance and value to things that are few in quantity, and you can use the scarcity principle to let people understand what they are missing. Urgency is one of the most powerful psychological triggers that you can use to boost the sign-up conversions on your site. 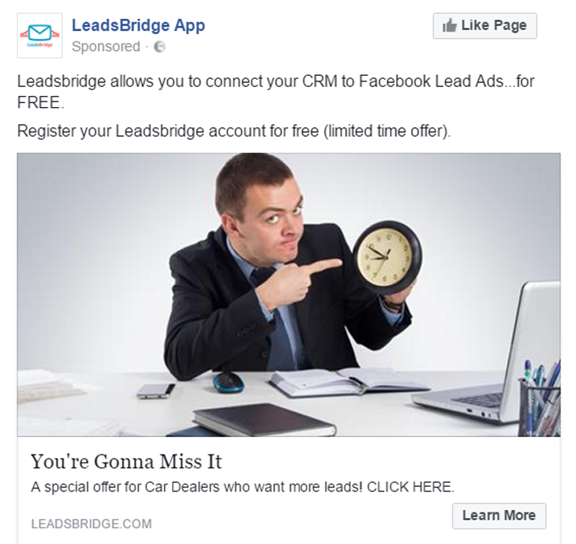 By adding a sense of urgency to your ads, people will temporarily suspend deliberate thought or judgment to act quickly - but you need to use this leverage properly. Social proof is a psychological element that makes people tend to take the actions of others as the correct behavior for a given situation. In other words, your audience will decide what to do based on other people's actions. Leveraging social proof is a powerful technique to ease the minds of worried prospects and customers: "if so many people do it, it must be right". Thanks to the Facebook Pixel you can easily build Custom Audiences of people who are in a certain stage of your funnel, in order to show them the right offers. When they buy an up-sell, you'll show them back-end offers, and so on. The good news is that you can set up a dynamic Custom Audience building system. All you need to do is define a Custom Audience from a thank-you or confirmation page after any goal: one for prospects, one for potential customers who required a demo, one for clients, etc. By doing this, you'll probably be able to push 5% or 10% more prospects and clients to the next step of your funnel with a small retargeting investment. 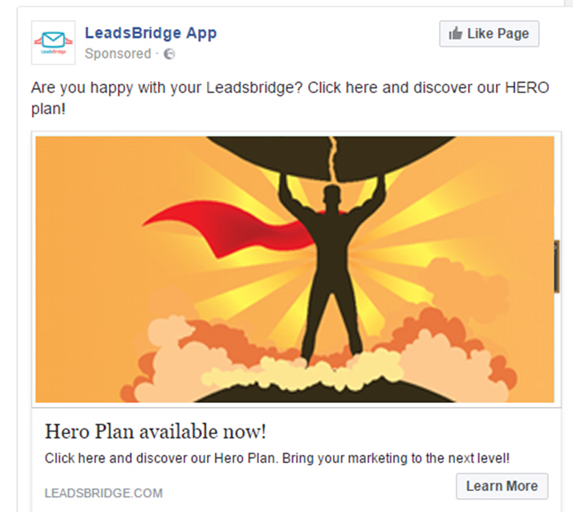 In this article, we've gone over how to use the Facebook Pixel to track confirmation pages and boost your funnel. 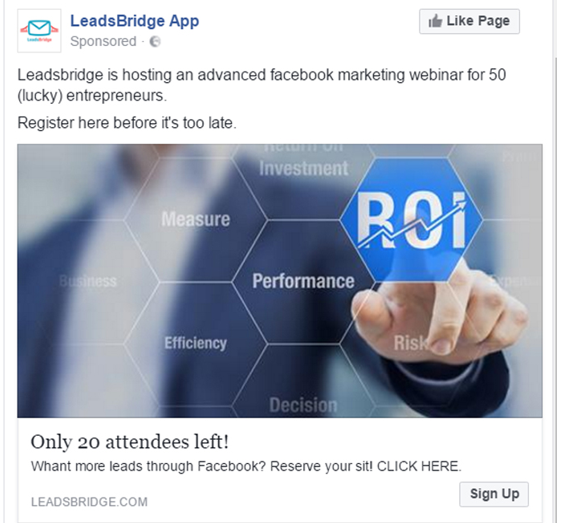 Such retargeting campaigns are relatively easy to set up, however, understanding how to improve the whole marketing funnel using the right message for each target audience isn't always obvious. 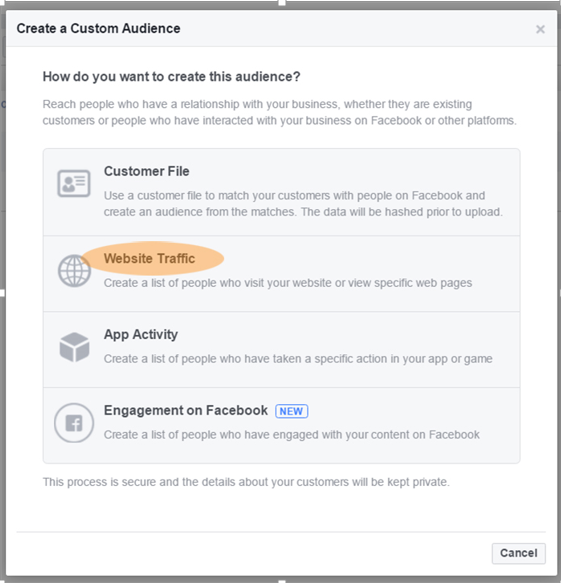 But there are some simple steps you can take to start building Custom Audiences from your website, even if you're not familiar with stuff like CRM retargeting or Facebook Pixel standards. You can, for example, create different ads for many stages of the buyer's journey, reducing your marketing efforts and increasing your ROI easily.